Spring means longer days, budding plants and best of all, more time spent outdoors. Spring is the time of plans and projects. 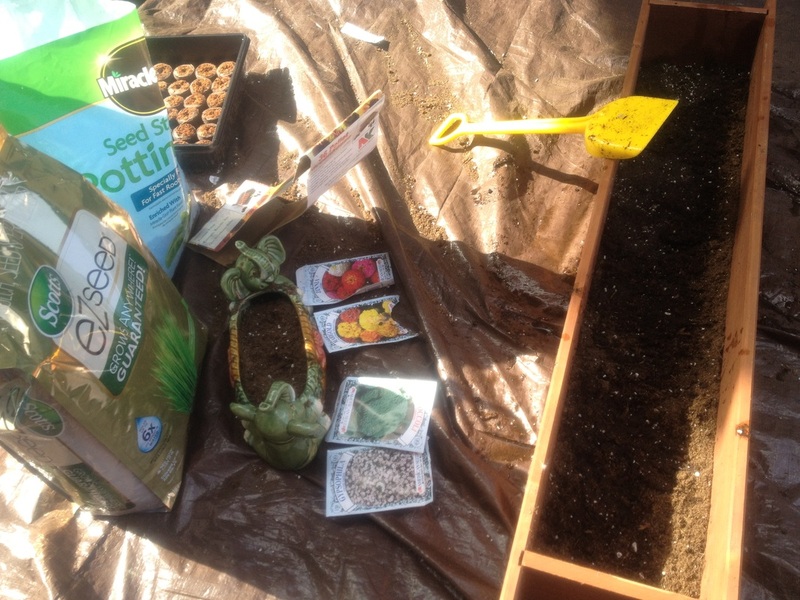 Our Green Sprouts Project this year will be planting a new garden at Anna’s Child Care. 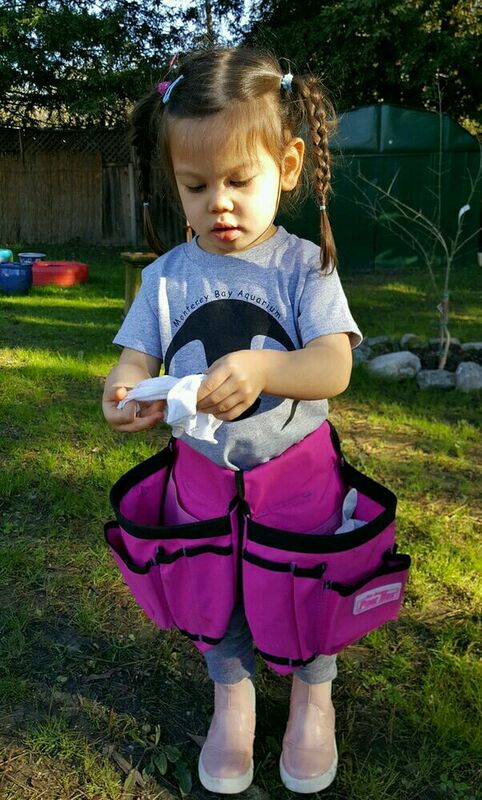 In April and May we are planning to have many indoor and outdoor garden activities for infants and toddlers. Gardens are magical, fun, and always full of surprises. There is a natural magnetic attraction between children and the earth, whether it's making mud or discovering new smells, and textures. Mud, seeds, safe child garden tools, planting and watering flowers; introduce fresh mulches, wood shavings, grass clippings, etc. ; discovering a new texture such as soft flowers, fuzzy leaves, springy moss, rough bark, moist leaves, and prickly seed pods; using rocks, wood, fabric or toys of different sized, shaped and textures. We will be using designated “dirt digging spot” in a shaded area for our shade flower garden, and pots to grow edibles. Our project will include indoor or outdoor activities in which children help create parts of the outdoor learning environment and garden. Even infants can help plant, make a scarecrow, create a wall mural, water plants, or spread out birdseed. Anna’s Child Care wishes you a season of bounty and beauty. Dirt: It does a body (and soul) good. 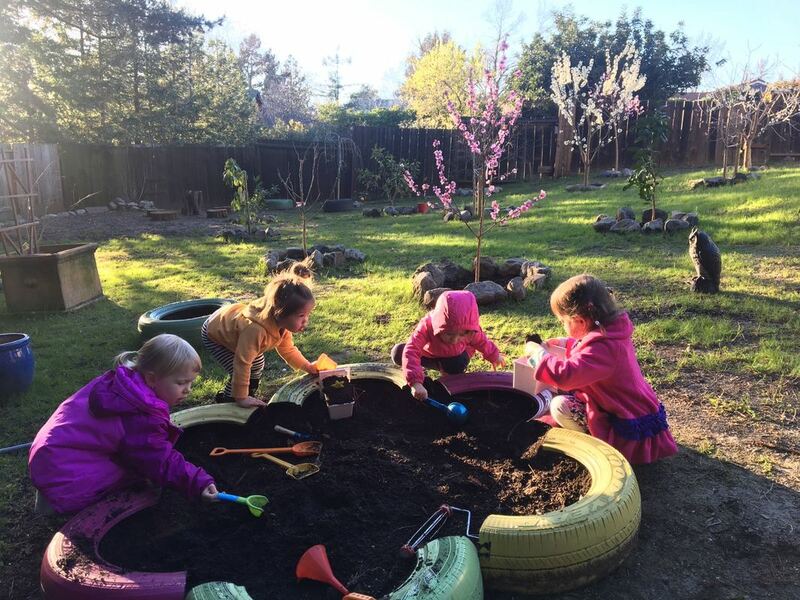 ​Here are just five ways (of many) that dirt can benefit your children. 1. Did you know that studies have shown dirt is good for your brain? There are types of bacteria naturally found in soil that activate the neurons that produce serotonin, a key chemical in many bodily functions, as well as a natural anti-depressant. 2. 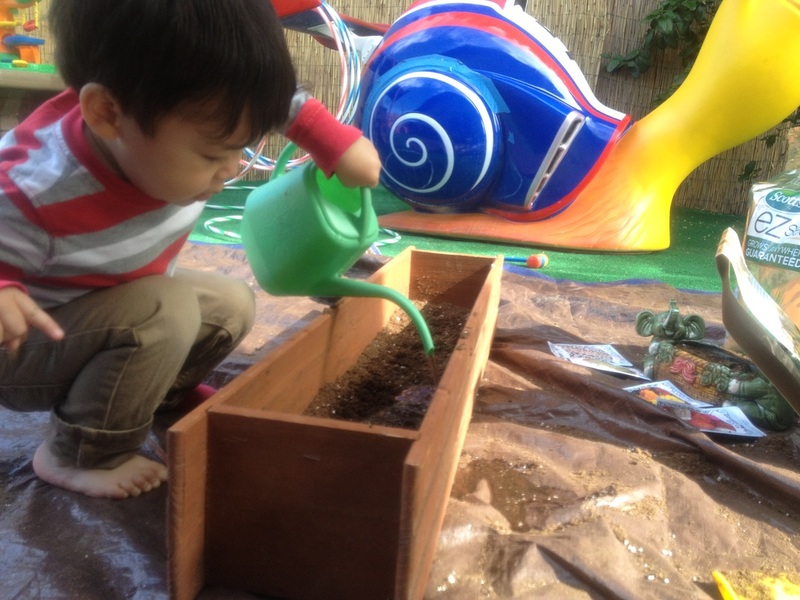 Dirt is also great for the immune system, especially in children. Research has shown that early exposure to naturally occurring microbes in soil will help build stronger, more disease-resistant kiddos. ​In our germaphobic culture where we have entire aisles of cleaning products at the grocery store, some children are being raised in overhygienic conditions. Without enough exposure to different bacteria and microbes, the immune system doesn’t learn to recognize its own cells, and this could be a reason for higher rates of asthma, eczema, and other diseases. 3. If you’ve read The Last Child in the Woods, you’re familiar with the term “nature-deficit disorder.” In our technologically savvy generation, kids just aren’t getting enough time to play outside, and that has now been linked to attention disorders, depression (yes, in children), and obesity. 4. Children who play outside laugh more, which means they’re happy! It also means their blood pressure and stress levels are lower.